Imagine, if you will, standing on a dark, desolate road lost and feeling quite alone. Picture yourself contemplating two ways to travel in order to get home. You are at a crossroad in your life, and you must decide which way to go. One way looks dark, scary, and menacing. The other way looks familiar, well lit, with the promise of reaching your intended destination. You decide to take the familiar road, and you realize this decision will lead you home. Relieved you did not have to enter the wrong road, or the dark way, you ride through the many hills and valleys before reaching your intended destination. There will be obstacles to face, even on this road, yet you are safe knowing you are headed home. Now, what if you mistakenly took the dark road? You would be lost, confused, and frightened. You would become miserable and probably panic at the idea of being lost. You would seek out someone to help you find your way home. Your journey would be a lonely, arduous struggle, and you know that if you don’t find the right person to get directions from, you could be lost for a long time. Some people, unfortunately, do take the difficult road, and the ones that opt for the easy road also find themselves in difficult situations in life. We cannot escape what life dishes out to us, no matter what road we choose to travel on. There will be challenges we all must face in life; some are easy and some are very difficult. Unfortunately, there is human suffering in the form of tragedies, abuse, neglect, war, health problems, addictions, poverty, drugs, a sudden death in the family, and a slew of other adverse, social issues. These problems, or as I call them challenges, are inescapable, but how we deal with each challenge is within our own control. Once you realize that you have the power to control how you perceive a given circumstance in your life, you will be on your way to emotional freedom from guilt, despair, discomfort, pain, suffering, addictions, sorrow, humiliation, and the worst part, regrets from past failings, abuses, or misgivings. Now, imagine you are standing at a crossroad having to decide a better way to navigate on your journey, and your guide introduces you to a secret, mysterious third choice. 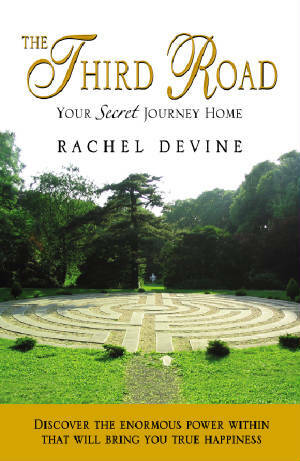 The Third Road is a secret road that leads one to his (or her) inner home. It is a road where one finally steps outside the world of societal demands and steps into the world where one is directed by his inner instincts, or the spirit of God. It is a road where peace, joy, and happiness await one, irrespective of outer circumstances. It is a road that reconnects us to our spirit within, bringing us to new awareness, perspective, and a greater appreciation for life. It is the road of truth that leads us to our home. It was the discovery of truth for me that I was searching for my whole life. It is the metaphoric road that leads one to a home that God had intended us to be in, where the most important thing is to love God with all your heart and soul, and to love your neighbor as we love ourselves. It is a place where truth, integrity, values, freedom, peace, and love abide, and words like war, hatred, judgment, and prejudice do not exist. It is a place where contentment, happiness, beauty, and joy abound and where fear has lost its power over you. I would like to share my own experience, strength, and hope with you. My own journey has taught me creative ways to deal with life’s challenges. My intention is to guide you on an intimate journey back home that will lead you to your comfort zone. You will be guided on a journey home where the power you discover within you will guide, comfort, and sustain you through whatever life throws your way. You will finally build a foundation under your home that no one can rattle or destroy. When you look through the kaleidoscope of life, do you see a dark world filled with hopelessness, or do you see the world through a kaleidoscope of beautiful colors, opportunities, and beauty? Hence, there lies the difference between being at peace and being in despair. It is all according to how you view your circumstances and your world. Perception is an individual awakening that only “you” can experience. But, we always have a choice on how we perceive life. We cannot stop the events of our lives from happening, but we can stop ourselves from the way society demands we deal with these tragic events. The older generation tells us that divorce is wrong and should be a terrible experience, and that a death in the family is always tragic. And yet, if one were miserable in a marriage, then divorce would mean happiness and liberation. And, death can mean an end to pain and suffering and the beginning of new life. Societal promptings insist that certain health problems are hopeless, and yet a positive attitude during a health crisis brings about radical positive changes in a physiological way. We are taught at an early age to judge others, and some of us were taught to be envious, jealous, and vengeful towards our neighbor. And, a slew of misinformed opinions come into our mindset through societal teachings, as we try to reason with what is right and what is wrong. Even the most well-informed, well-intentioned parents put fear in their children, as they perceive the world to be a fearful place, which cannot be trusted. There is a better way. You can change the way you view your circumstances, thereby changing the way you feel, and ultimately changing your world. Our human nature yearns for more. It demands to know a better way of life and subconsciously or consciously struggles to find a road that will lead us to this better way, or our home. I will also focus on helping you find your purpose in life. When you find out why the Great Maker created you, you will find joy in your life, which will overshadow the challenges that come your way. You will find your passion, your reason for being born. We were all put on this earth for a purpose; just like nature is synchronized in its intricate daily journey, we are also synchronized for a useful purpose of joy that will serve humanity. Our Higher Power is the source that we believe is an omnipresent guiding divinity in our lives. I will refer periodically throughout the book to my Higher Power as Jesus, or as God. You can choose the Higher Power of your choice when reading this book, because we are all individuals who have different beliefs. William Shakespeare said, “To thine own self be true, and it must follow, as the night the day, thou canst not then be false to any man.” However, it is okay if you don’t have any particular belief in a Higher Power. There is no prerequisite in believing or not believing in God to find your spiritual way home. All you need is to be willing and open. My purpose for writing this book is to simply and gently guide one to his spiritual home. I personally think that most faiths come full circle and end at the same point together, rendering a universal peace. Your journey is unique and so is the God of your understanding. This journey is for everyone, no matter where you are in your spiritual quest, and irrespective of whether you have a Higher Power or not. My hopes are that this book will lead you to your spiritual home, where you will find the courage and power within to address your own life’s social issues. And, at the end of each chapter are original poems that I wrote in order to reinforce the meaning of that particular chapter. I hope you enjoy them. It is no accident that you are holding this book. You are exactly where you should be in life at this precise moment in time. And, in a flash, this moment will be gone. Use the present moment to give yourself the time and energy it takes to discover a part of you that is alive and thriving. You are going to come to an amazing and exciting awareness, an awesome rediscovery about yourself. You are going to remember what you already know. It is your time to shine. It is your time for liberation. It is your time to heal from the effects of societal demands. It is your time to rediscover the secret truth that is hidden within the recess of your soul. You will blossom, like a dawn-tinted rose in the midst of summertime. You will awaken, like the radiance of an orange burst of sunrise. You will sprout, like the daffodils on an early spring morning. It is your time to find peace in your life. It is your time for joy. It is your time to finally discover the hidden, secret wonders of The Third Road, the one least traveled, which ultimately will lead you safely back to your spiritual home.